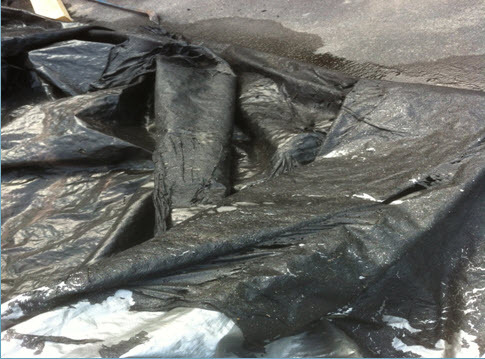 Waterproofing membranes can, and unfortunately often are, damaged after installation. 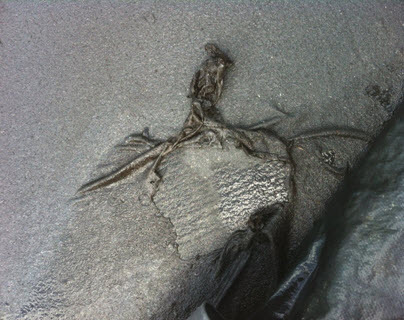 And of course a damaged membrane is compromised in its capacity to perform as an effective long term water barrier. Negligent construction practices are the main cause of damage to newly installed membranes – waterproofing membranes need to be protected. Damage can occur from sharp stones during backfilling or landscaping, traffic from on-site workers and tools from construction trades. 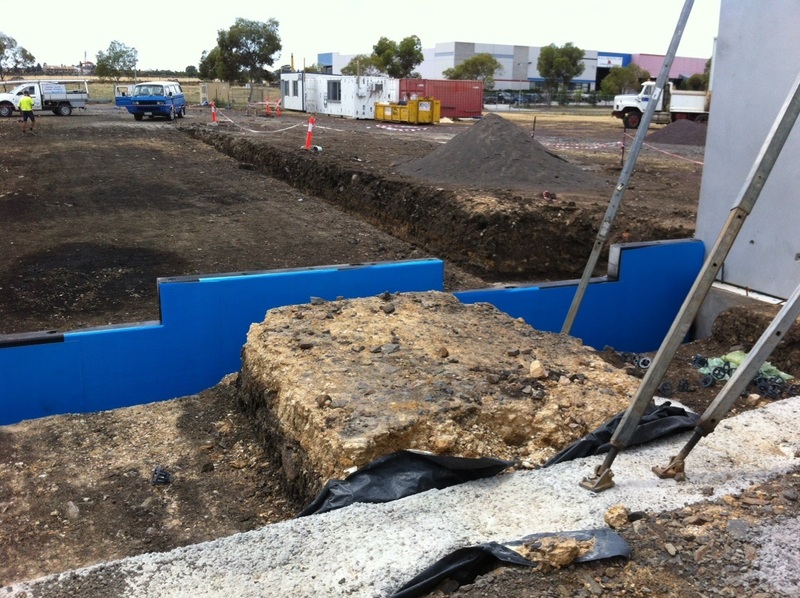 One of our membranes after tradies placed equipment on it ! 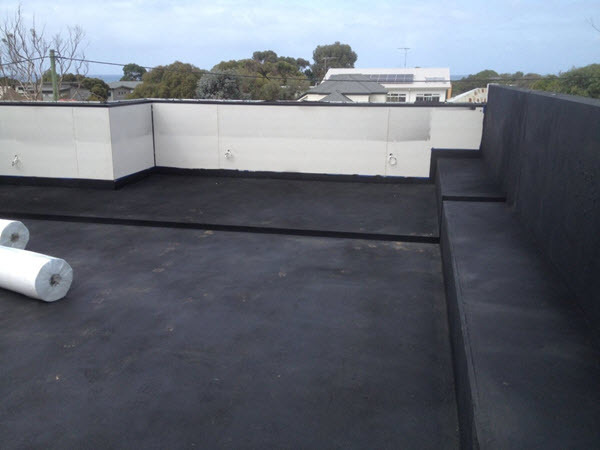 Repairing damaged waterproofing IS expensive & will hold up construction progress. We offer a tough and durable external laminate protection sheet that provides excellent robust barrier for waterproofing membranes. This composite medium uses cross linked foam and has many benefits over the conventional corflute board which is of less quality. Prevent damage to the your newly installed waterproof membrane. Protecting the integrity of the membrane after installation also protects your warranty. Arma-Blue Protection – Waterproofing Sheet - Installation Instructions – see attached PDF – Arma-Blue Instructions. Arma-Blue is an advanced protection system based on a closed cell cross linked foam fused to a strong poly fabric – not harmful to the environment. A unique product specially developed to protect numerous types of membrane systems both in the horizontal and vertical plane. 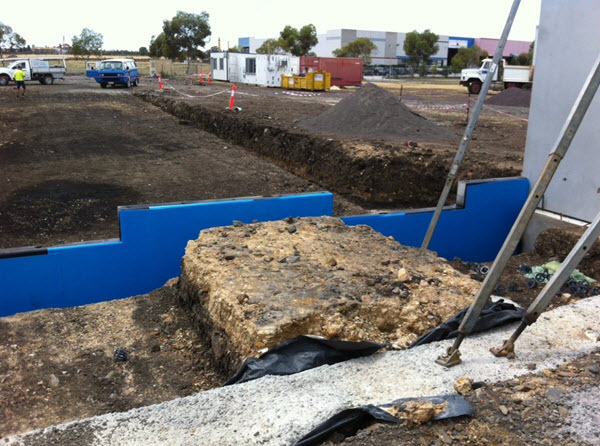 Arma-Blue for both above and below ground applications. Ease of installation and the knowledge that the sheet will not detach from the membrane surface under severe weather conditions that may follow eg; high winds etc. this gives peace of mind and assurance that your company can install Arma-Blue and leave the job without the fear of a call to say your protection install is all over town and not where it was meant to be. NOTE: Application to cementitious or highly textured surfaces in the vertical plane will not bond successfully. It is recommended that a small trial patch be carried out on all surfaces to ensure proper adhesion. Extreme cold conditions may also affect bonding. 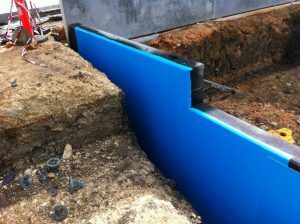 A further benefit from using Arma-Blue, is that once you have installed it over the membrane, you have less chance of your membrane being damaged by following trades or damage by UV exposure due to delays in construction. 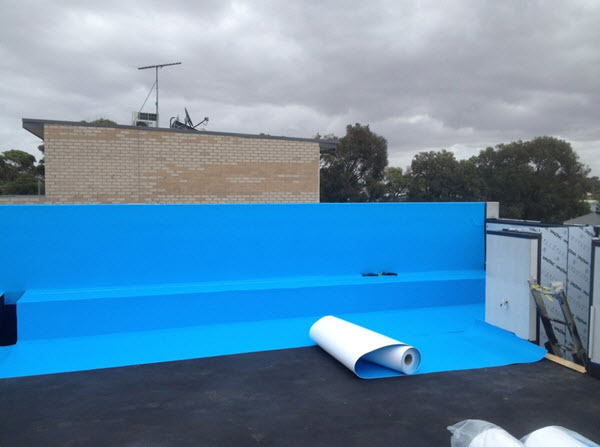 Arma-Blue is UV stable and will continue to protect surfaces for the life of the install. Fast install over other protection methods; less labour cost. Will not decay or rot. Will not expand or distort when exposed to heat or sunlight. Minimum distortion under traffic use. 1. Ensure surfaces are dry. 2. Ensure surfaces are clean and dust free. 3. During application ensure all air is expelled between face of membrane and Arma-Blue sheet. 4. Allow to overlap Arma-Blue sheet by minimum of 20mm on each side lap. 5. Apply adequate pressure by and or broom to complete surface area of contact to ensure positive adhesion to substrate. 6. On vertical applications, should Arma-Blue be left exposed for extended periods it is recommended that Arma-Blue tape be applied at top edge of membrane to prevent possible leading edge peel. Arma Commercial is a superior means of protecting almost anything and any surface. Due to its extreme strength, trafficability and soft non scratch backing and simple install using Arma Tape. Ideal to protect retaining walls & concrete basements. Arma Commercial is an economical roll out protection material that has no equal in terms of its performance and can be in many instances re used. The following is a sample list of where Arma-Blue can protect high quality finishes in all aspects of construction, renovations and fit-outs, etc. Arma-Blue Self Adhesive available in 25m x 1.2m wide roll size 30 sq.m. roll – Weight 12 kgs.